1).With Which Country India has agreed to properly utilize water resources? 2).Which of the countries where elected as non-permanent members of UNSC? 3).Sanjaya Rajaram, an Indian Born Scientist has received_____? 4).Which national quality index has been launched recently? 5).Who is the new Chief Economic Advisor of India? 6).For the first time government has decided to import ______ to check the rising prices? 7).What is the name of the conference that was held to raise funds for the reconstruction of the Gaza strip? 8).What is the name of the India’s indigenously made nuclear capable cruise missile? 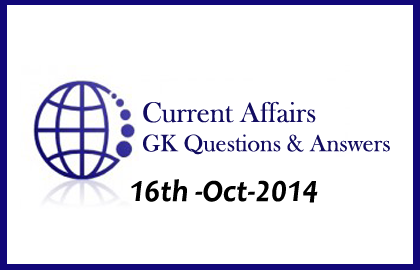 9).India has pledged to provide_______ million aid for the reconstruction of the Gaza? 10).World Food Day is observed on?